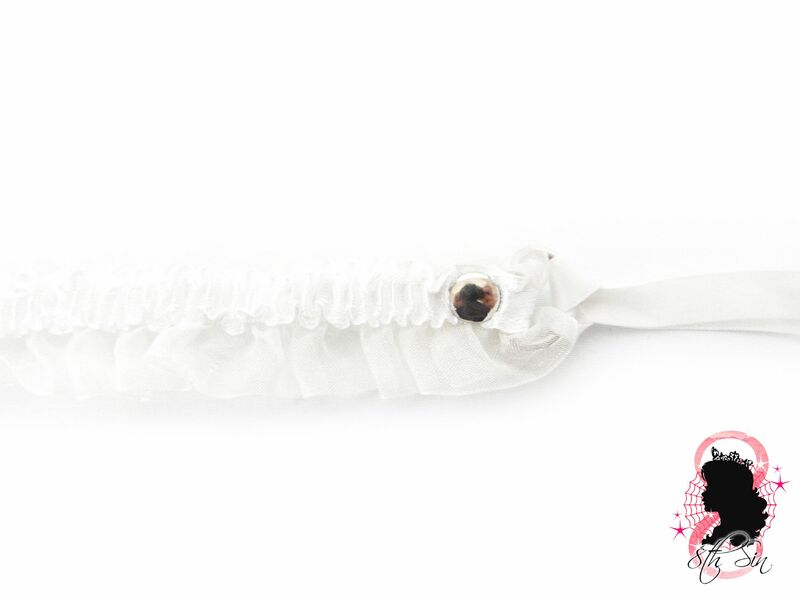 This is a white ruffled choker featuring a white ribbon bow and silver bell. The ruffled trim is elasticated and stretches to any neck size. 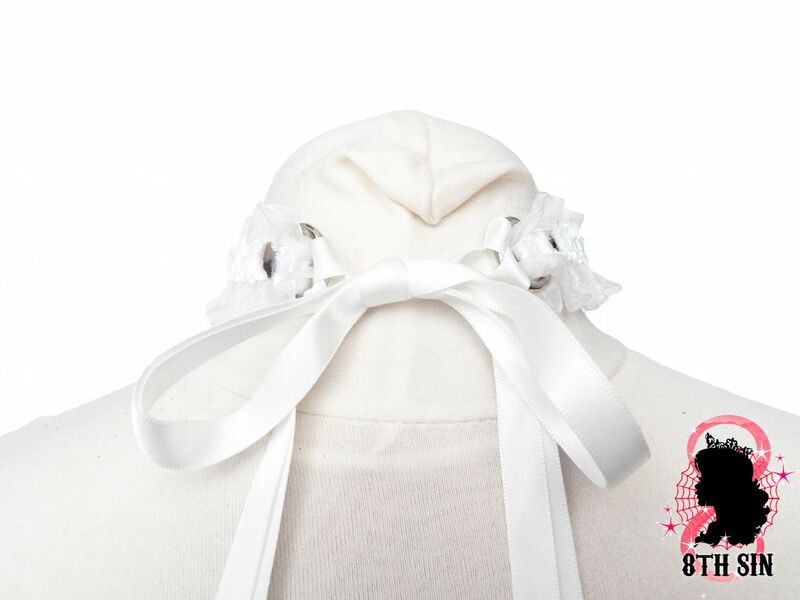 The white lacy bell collar ties at the back with satin ribbons.